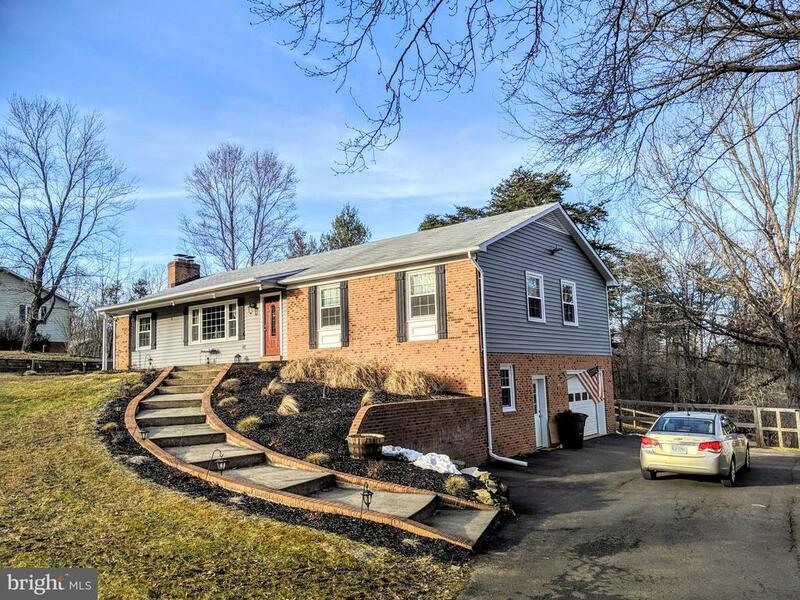 All Broad Run homes currently listed for sale in Broad Run as of 04/22/2019 are shown below. You can change the search criteria at any time by pressing the 'Change Search' button below. If you have any questions or you would like more information about any Broad Run homes for sale or other Broad Run real estate, please contact us and one of our knowledgeable Broad Run REALTORS® would be pleased to assist you. "Looking for your own piece of paradise? 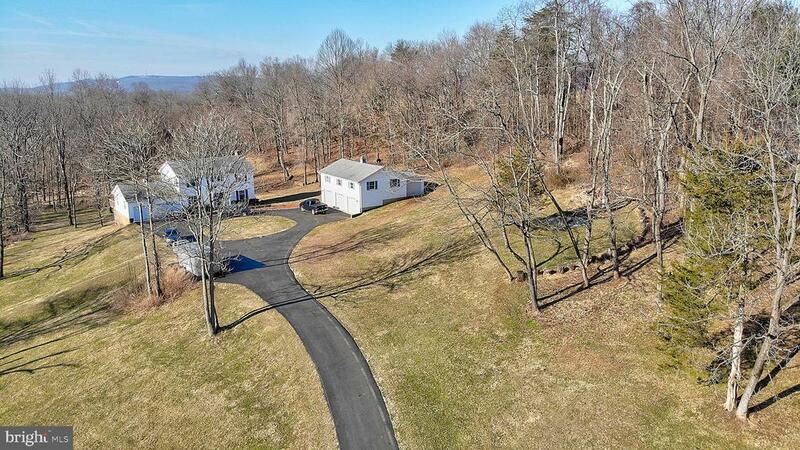 Nestled in Broad Run, this 43+ acre property is being offered for the first time. Circa 1909 farm house with in-ground pool, stunning guest cottage adjacent to barn, machine shed & board fencing complete this farm. The main house is a 4 BR 2.5 BA with over 3000 square feet of living space & unfinished basement. Much of the original charm is in tact including double balconies on front with panoramic views, 4 wood burning fireplaces & wide plank wood flooring. The home has been updated with new electrical, central heating & cooling systems. The guest cottage remodel incorporates the features of the old barn highlighting the wood beam construction. Much of the property has board fencing with ride out opportunities. Please see documents for letter regarding subdivision potential." "Rare - Large and spacious one-level living. Main floor living plus partially finished basement with in-law suite and private entrance and studio over garage. Fenced pasture, community riding trails, lovely, convenient location. Multiple decks and patio with trellis overlooking pool and views of adjacent vineyard and rolling hills beyond. 2018 renovation of kitchen and baths. Open floorplan, 2-stone fireplaces. Very serene hilltop setting with peace and privacy. Stream runs through property. DC side of Warrenton - convenient to I66 in Haymarket/Gainesville, lots of shopping, Wegmans, movie theatres and much more. Many local wineries and breweries nearby." 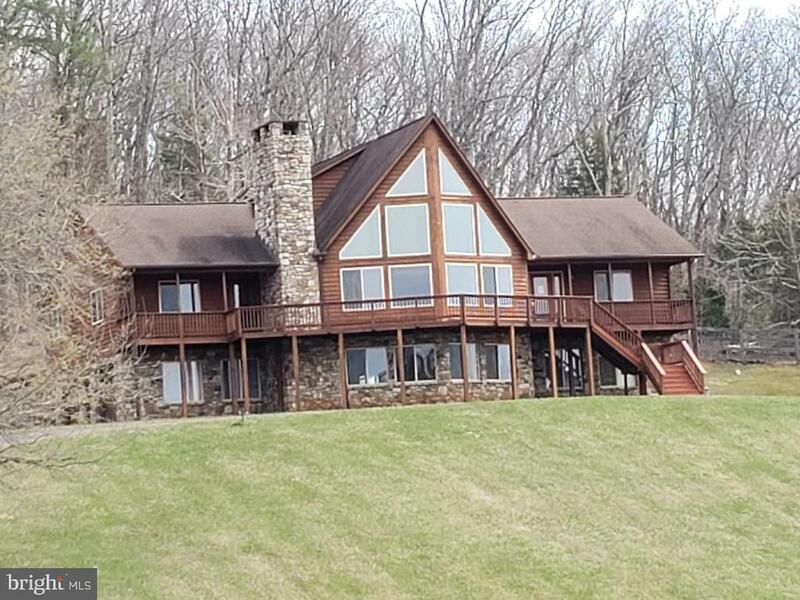 "*UNBELIEVABLY GORGEOUS CEDAR AND STONE CHALET ON OVER 7 ACRES W/SPECTACULARVIEWS AND BACKS TO WOODS!! * 25 FT HIGH VAULTED CEILINGS * TWO MASTER BEDROOMSUITES W/ LUXURY GRANITE JACUZZI BATHS * HUGE GOURMET KITCHEN W/ CHERRY CABINETS, GRANITE TOPS, DOUBLE OVENS, JENNAIRE AND ISLAND * TWO STONE FIREPLACES *HARDWOOD FLOORS * FULL WRAPAROUND DECK W/ COVERED PORCHES * FOUR CAR GARAGE *40 FT PATIO"
"BRING YOUR CARS ! 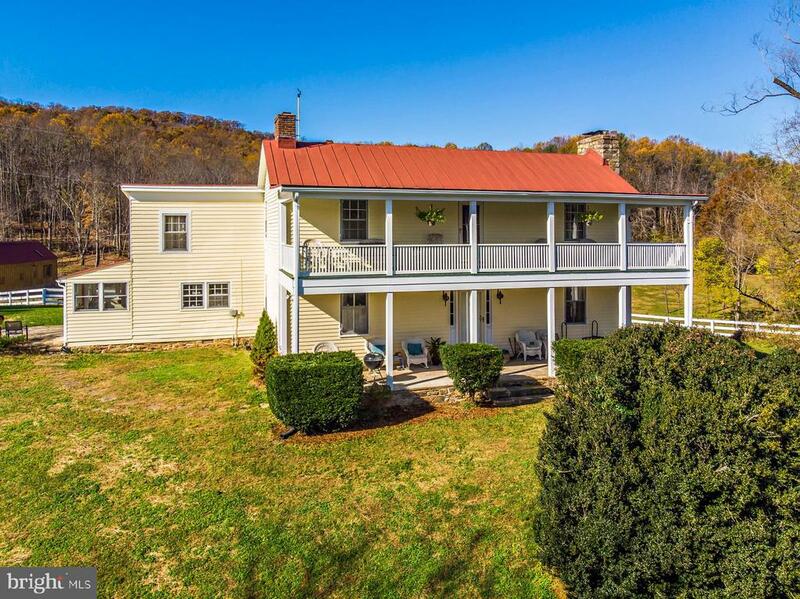 !Beautiful House situated on over 9+ acres. 2 car attached garage, 3 car Detached garage with finished upstairs with bathroom and multipurpose rooms. Finished Upstairs has huge media center. Detached garage comes with a car lift, and extra storage. Main House has 5 Bedrooms. Separate Dining room and Family room with gas fireplace that can be converted back to wood. Huge office space. Kitchen is updated with Breakfast nook, sun-room and den, Granite Countertops. Basement has a media Space and extra bedroom has enough room for a bathroom. Update appliances. Huge Deck overlooking huge backyard with plenty of wildlife. Smaller deck. Small Pond. Paved circular driveway with plenty of parking. Paved road into property. 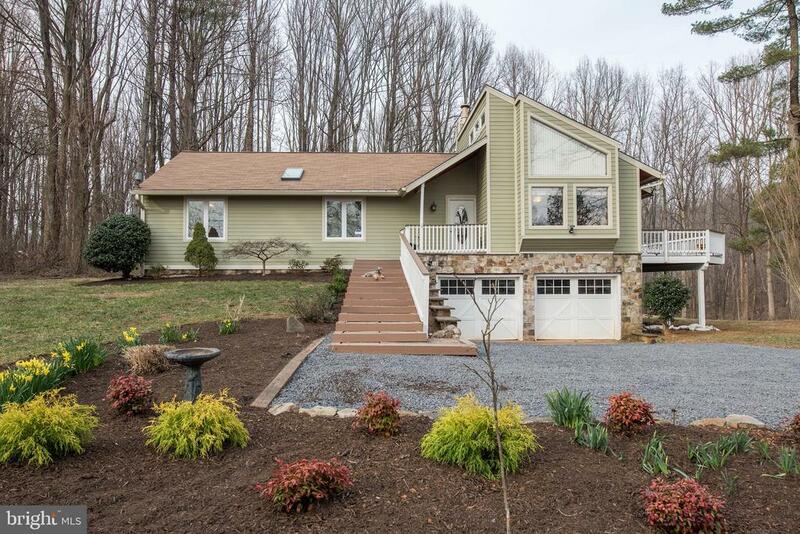 Great Commuter spot close to Route 17 and small commute to Interstate 66. Lockbox on Detached Garage door." "Seeing Colonials on 1/4 acre lots and want more space? Seeing high monthly fees and want less governance? Check this out - 1.6 acre lot, very private with a nominal $15 per month HOA contribution. Let the savings in Dues pay for the extra ACRE!!! 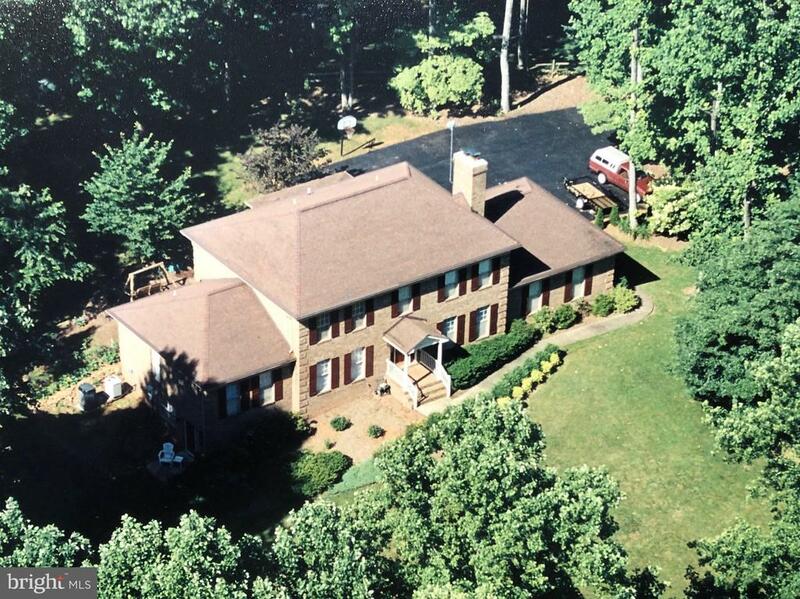 Classic all-brick Colonial on 1.59 ac. 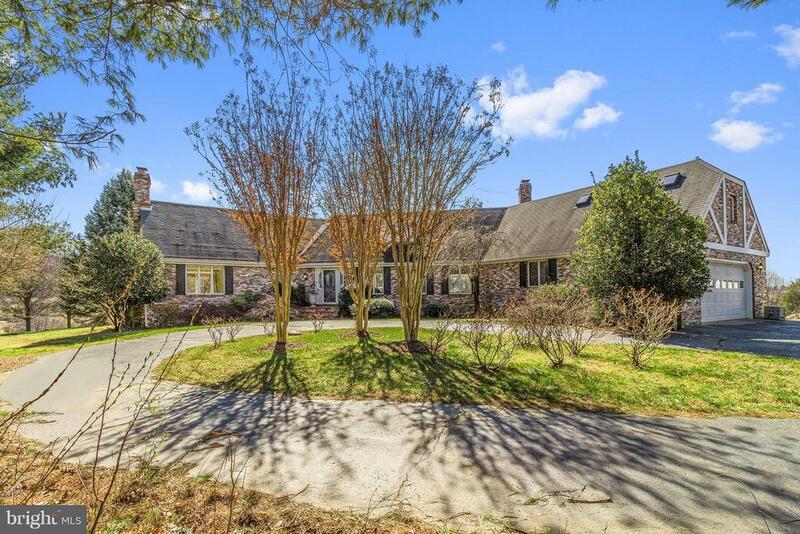 in sought-after Hunton Wood Estates. Over 4,000 finished sqft - Mini-estate! 5 BR (one on main level), 4 full BA. TWO MASTER SUITES!!! One main level, one upstairs!!! Freshly painted. Gourmet Kitchen w/ large Island, and new SS Appliances! The adjacent Family Room features a cozy wood fireplace. Sliding doors go from the Kitchen to Screened Porch - perfect for entertaining. Hardwood floors on the main level and new carpet upstairs - the ideal combination for most discriminating buyers! New Architectural shingle roof. Finished Walk-out Basement includes several play/entertainment areas plus generous storage. Over-sized 2-car garage, plus surface parking for 2+ vehicles/boats/ATV's. Must see this gorgeous and versatile home! Interactive Floor Plans: tour.TruPlace.com/property/139/74000/"
"DO NOT MISS THIS HOME! Gorgeous contemporary with OVER 3250 FINISHED SQUARE FEET wrapped in Hardiplank & minutes from Warrenton has been fully updated & upgraded for the new owner! Airy & light-filled open floor plan will wow your neighbors, family & friends! You'll love the Brazilian Cherry flooring and totally upgraded kitchen that not only has new cabinets, granite, but THREE ovens, new brush nickel appliances and plenty of counter space. Bathed in beautiful natural light, the great room with wood stove enjoys western views toward the farm across the road. Just off the kitchen & dining room is your own low-maintenance and HUGE deck that you'll enjoy your morning coffee or evening adult beverage for years to come. The master suite includes a walk-in closet and BRAND NEW bath, complete with barn-style sinks and ceramic-tile shower. You'll love to play or entertain in the lower-level billiard room, or just hang out watching the tube next to the rec room wood stove...you can even work out in the exercise room that comes with a treadmill too. The lower level also includes a full bath and storage room. Finally, enjoy the great outdoors and explore the FIVE wooded acres behind the home, or take a nice stroll down Old Bust Head Road. The fantastic home is move-in ready and can close quickly! FREE 2-10 HOME WARRANTY PROVIDED, AND BEST OF ALL--->NO HOA!" "JUST OVER COUNTY LINE IN FAUQUIER. NO HOA. 2.98 ACRES. ENCLOSED FENCE YARD BEHIND HOUSE W/ ACRES BEYOND. HUGE 2 CAR GARAGE 26X29. TREE LINE DRIVEWAY & ON A CUL-DE-SAC. 2 TIER WOOD DECK. INSIDE: HARDWOOD SEPARATE FORMAL DINING ROOM W/ FRENCH DOORS TO WOOD DECK, HARDWOOD LARGE LIVING ROOM W/ PICTURE WINDOW, COZY DEN W/ RAISED HEARTH FIREPLACE & CERAMIC FLOOR. KITCHEN HAS STAINLESS STEEL APPLIANCES W/ CERAMIC FLOOR & ROOM FOR EAT-IN TABLE. TOTALLY REMODELED BATHS (MUST SEE), LARGE MASTER W/ FULL BATH. CERAMIC FOYER. FULLY FINISHED BASEMENT W/ A LOT OF STYLE! WET BAR & FULL COUNTER /CABINETS, REC ROOM WIRED FOR HDMI SURROUND SOUND, FULL BATH AND BONUS ROOM/ 4TH BEDROOM. WALK-OUT BASEMENT. IMPRESSIVE CONCRETE/ BRICK STEPS UP TO FRONT DOOR AND FRONT PATIO. LOT HAS TREES AND CLEARED AREAS. OUTDOOR FIREPIT AND LARGE SHED. PERFECT GET AWAY! NEW WINDOWS & SIDING IN 2016, HOT WATER HEATER 2014, ROOF 10 YEARS OLD, HVAC 6 1/2 YEARS OLD."